Clear skies prevailed this morning in the Chicago area. The four bright planets spread across the sky from east to west, with Jupiter near the moon. Mercury, however, was more elusive. Rising behind the trees and into bright twilight, it took binoculars to see it. 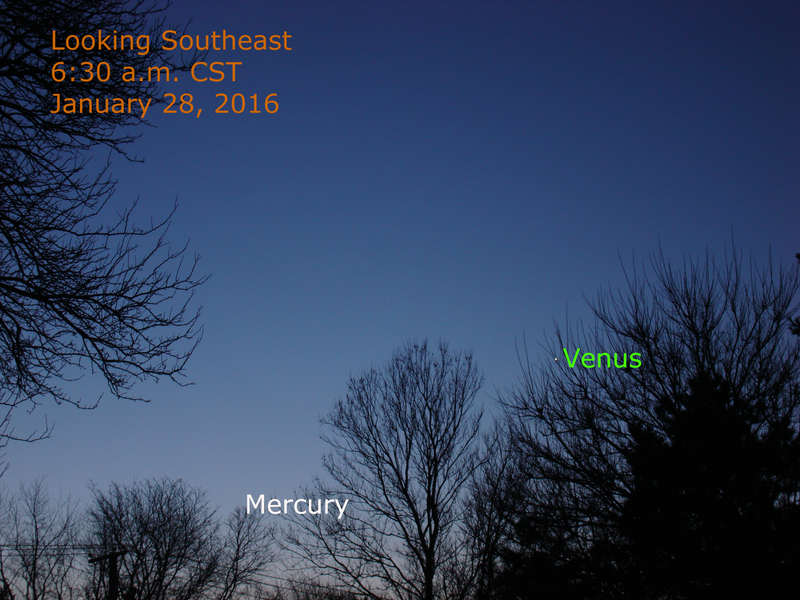 In the image above, Mercury is at the tree top. Click the image to see it larger.